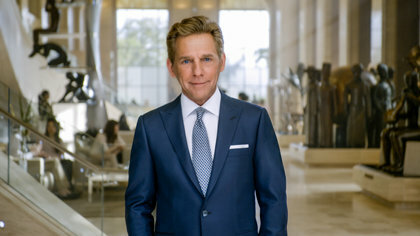 David Miscavige’s strategy to produce all of L. Ron Hubbard’s books and lectures on Scientology, in up to 50 languages, led to a revolutionary solution—100 percent digital publishing facilities in the Americas and Europe, built from the ground up. 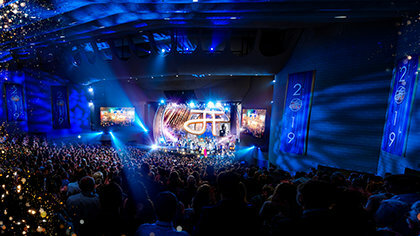 Since the release of the Dianetics and Scientology Basics Books and Lectures in 2007, Scientologists have flooded into their Churches in greater numbers than ever. Demand for the materials has grown exponentially and, as parishioners have progressed through those books and lectures, the numbers of new people coming in to find out about Scientology have likewise grown. Indeed, the Scientology religion is now enjoying its greatest expansion in history, with public interest and demand for L. Ron Hubbard’s books and lectures escalating across more than 200 nations, 150 cultures, and in some 50 languages. Meeting that demand required facilities to provide books and lectures in any language, any quantity, with adequate speed and economy—whether 500 copies of a title in Swahili for Uganda, or one million copies in English. No conventional printing house could have handled those orders—not with a 2,500-lecture library reproduced in 17 languages. Time frames could never have been met and printing costs for a relatively small number of books for new pioneer areas would have proven financially prohibitive. A new publishing strategy was needed and, under the direction of David Miscavige, that strategy was developed and put in place in early 2007—prior to the release of the Basics. All book and lecture CD production was established in-house, including the entire line from inception to distribution: printing, foiling, embossing, laminating, CD replication, packaging and shipping. Occupying massive new headquarters, the Church’s publishing arms are now the world’s largest all-digital, print-on-demand facilities. The facilities are visited regularly by industry leaders who come to observe the sophisticated operations as models of innovation and efficiency. The largest exclusively digital print house on Earth, Bridge Publications is housed in a 276,000-square-foot facility stretching a full city block in Commerce, California. All facilities, from administrative offices to manufacturing and distribution, are located under the same roof. The operation is dedicated to making Scientology Founder L. Ron Hubbard’s works accessible everywhere. Bridge Publications manufactures all Dianetics and Scientology books, lectures and course packs for the Americas, Asia and the rest of the world, except for Europe and the United Kingdom which are under the purview of New Era Publications in Copenhagen, Denmark. In combination, Bridge and New Era can print 1.3 million books and 1 million compact discs a week, amounting annually to 67 million books and 52 million CDs. With paperbacks and course packs added into those totals, the printed pages placed end to end would extend to the moon—and back. Over one hundred million L. Ron Hubbard books and lectures have been distributed since the establishment of the Church’s all-digital publishing houses. Equipped with such facilities, production has soared. In point of fact, over one hundred million L. Ron Hubbard books and lectures have been distributed since the establishment of the Church’s all-digital publishing houses. Moreover, with Mr. Hubbard’s religious works now available to anyone worldwide, what has ensued is a consummate resurgence for the Scientology religion.